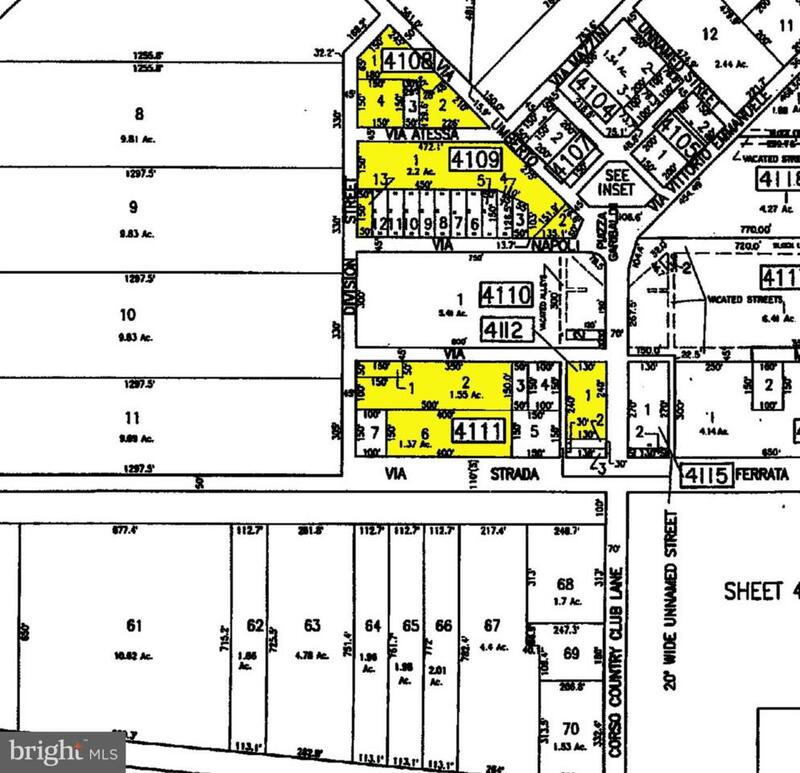 Multiple parcels being sold together as a package zoned FA1 which according to the Pineland Commission is for "clustered housing on one acre lots in permitted at an average residential density of one home per every 30 acres." These parcels make up about 8 acres which can be used for Pinelands credits for other lots. Buena Vista Township requires a minimum 1 acre per building lot. Survey will be required to verify acreage. These parcels are not buildable. Zoning Description Clustered Housing On One Acre Lots is Permitted At An Average Residential Density Of One Home Per Every 30 Acres. Assessment Year 2018 Association YN No Central Air YN No Construction Completed YN No Current Use Vacant Navigable Water YN N New Construction YN No Original MLSNumber 301532199293 Ownership Interest Fee Simple Possession Settlement Property Sub Type Land Sale Type Standard Sewer No Septic System Tax Annual Amount 73.0 Tax Assessment Amount 2800.0 Tax Lot 00001 Vacation Rental YN No Water Source None Zoning Fa1 Zoning Description Clustered Housing On One Acre Lots is Permitted At An Average Residential Density Of One Home Per Every 30 Acres.